Point2 Homes gives you far more than a simple list of houses for sale. Get instant access to a lot of relevant information about Nanaimo, BC real estate, including property descriptions, virtual tours, maps and photos. The search results pages also have a wealth of information on Nanaimo, BC, if you scroll all the way down. There are 909 houses for sale in Nanaimo, BC. Searching homes for sale in Nanaimo, BC has never been more convenient. 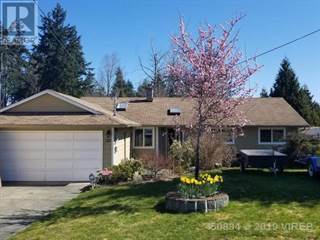 With Point2 Homes, you can easily browse through Nanaimo, BC single family homes for sale, townhomes, condos and commercial properties, and quickly get a general perspective of the real estate prices. Also, you’ll never miss a bargain if you filter listings based on house price drops in the past six months. Use the map view to find Nanaimo, BC homes and apartments for sale, based on amenities or city features that you may want close by. You can close in on a specific neighbourhood or area by simply drawing around them with the polygon or radius tools. Stay informed about the latest entries on the real estate market by saving your searches. This way, you get new listings in your inbox, daily or every week, based on your preferences. If you’d like to get in touch with a professional, agents are displayed next to their listings, and they’re easy to contact through the online forms. 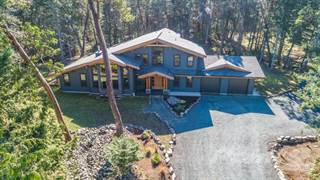 If you want more options, you can click the Tools tab and Find an Agent, and you’ll get a list of helpful and knowledgeable real estate agents in Nanaimo, BC. 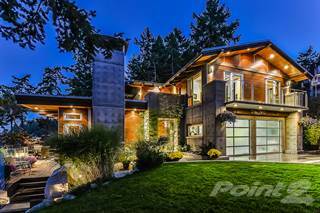 Visit the Point2 Homes blog and you can find up to date expert advice on many markets throughout Canada, regular market reports, neighbourhood scoops in cities throughout the provinces, real estate deals and useful recommendations. Nanaimo is a city located on Vancouver Island in the province of British Columbia. The metropolitan area has a population of over 83,000 people making it the sixth largest city in British Columbia. The metropolitan area of the city stretches over 1,280 square kilometres of scenic land. Nanaimo is a city of many nicknames, such as "The Harbour City" and "Hub City". Nanaimo is in a great location as it is the transportation hub for the rest of Vancouver Island. A few of the main industries here include retail, construction and tourism. The retail industry employs 15% of the labour force. Businesses in the construction industry typically have less than 20 employees , and 22% of the business licenses in Nanaimo are from this industry. There are over 2,000 businesses in the tourism industry. Annually, tourism brings in $72.4 million dollars to the city. Nanaimo is rich in the arts, outdoor activities and events. There is always something to do in this city. Nanaimo has many places to interact with the arts. The Nanaimo Art Gallery has exhibitions and events as well as programs for kids and adults alike. The gallery has many works of art by talented artists from around British Columbia, giving it a local touch. There are also theatres such as Port Theatre to catch shows of everything from comedy, music and dance performances. As for outdoor activities, Nanaimo has over 880 hectares of parkland and over 173 kilometres of trails. This provides plenty of opportunities to get out and about in nature. For sports enthusiasts, there’s an abundance of sports fields and ball diamonds to engage in your favourite sport with friends. The city also allows weddings and events to be held in these parks as well. There are also many festivals and events that happen throughout the year in the city. There are music festivals such as Legends Valley Music Festival, which has many acts that play over the span of a weekend. One interesting and cultural event is the Teen Dragon Boat Adventure. Put on by the Ergondragons Boating & Fitness Club, this event educates participants in Dragon Boating and includes a scavenger hunt. Nanaimo can be split into four different areas: The Islands, Southern Nanaimo, Central Nanaimo and Northern Nanaimo. The Islands are home to the community of Newcastle, which is located on Protection Island. To the north is Newcastle Island, where Newcastle Island Park is found. The community on Protection Island is very small so everybody on the island knows everyone else. There is wildlife surrounding the island, and interestingly enough, there is no bridge leading to the island. To get to the heart of the city (or back home), you must go by the water. Southern Nanaimo consists of the communities of Chase River and Cinnabar Valley. Chase River has many commercial spaces for shopping and dining, as well as other necessary services. It is generally a rural area, and has many parks nearby. Although Cinnabar Valley isn’t far from Downtown Nanaimo, it seems as if it might be because of the beautiful scenery. The lots in this neighbourhood sit high and provide a spectacular view. Central Nanaimo has neighbourhoods like Downtown, Westwood and College Heights. Downtown is vibrant and energetic, featuring shopping and dining like no other area. Necessary services that are needed such as fire departments and banks can be found here as well. After being recently revitalized, this area has become more attractive to residents and businesses alike. Westwood is a calm neighbourhood very close to the Downtown core. There are parks and schools here making it a great place for families. Transportation is also available here, although less frequent than in areas with many people. Northern Nanaimo is home to neighbourhoods such as Departure Bay and Uplands. Departure Bay is located along the ocean and because of this, there is a ferry located here. It is a scenic area like many of the other areas here, and it is a short distance from the other areas in the city. Uplands is an upper-middle class area in Kamloops. Some houses here can be found in unusual but exciting places. Parks and schools are plentiful here as well. In Newcastle, many of the properties are located on the waterfront. Here there are log homes, luxury homes, single-family homes and bungalows. The houses range in affordability. Chase River has single-family homes and there is a great deal of land that can be purchased here. The homes here are older than homes in the other neighbourhoods surrounding here. The houses are affordable in this neighbourhood. Cinnabar Valley is similar to Chase River in that there are single-family homes and many homes are affordable. The difference lies in the age of the homes, with Cinnabar Valley featuring newer homes. Downtown Nanaimo has bungalows, condominiums and apartments. Most of the homes and buildings in this area are older, with many of them being revitalized. In Westwood, there are mostly single-family homes. The homes are a mix of old and new, and the lots are incredibly scenic. There is a range in terms of affordability in this area. The homes in College Heights are large, single-family homes. The homes in this neighbourhood are older. For the most part, the homes are affordable, but certain properties can be more expensive. Departure Bay has many luxury homes and the homes are located on interesting terrain. There are single-family and multi-family homes as well as condominiums. Most homes in this neighbourhood are older. Uplands also provides interesting locations for homes. There are condominiums and multi-level homes here. The homes here are affordable and there is a mix of older and newer homes. The following table, based on data taken from the Canadian Real Estate Association (CREA’s) National MLS® Report for April 2016 (the latest information available), demonstrates how homes in LSTAR’s jurisdiction continue to maintain their affordability compared to other major British Columbia and Canadian centres. The school district in Nanaimo is called School District 68 Nanaimo-Ladysmith. This district has 29 elementary schools and 6 secondary schools. The district has a graduation rate of 68%. School District 68 has a strong aboriginal group of students as well as an international program for students. This makes the district very diverse. There are some post-secondary options in the area as well. Nanaimo is home to the Vancouver Island University (VIU) as well as the Nanaimo campus of Sprott Shaw College. VIU is located on the western side of Central Nanaimo. Another college in Nanaimo is the Discovery Community College. It is located in Central Nanaimo as well.